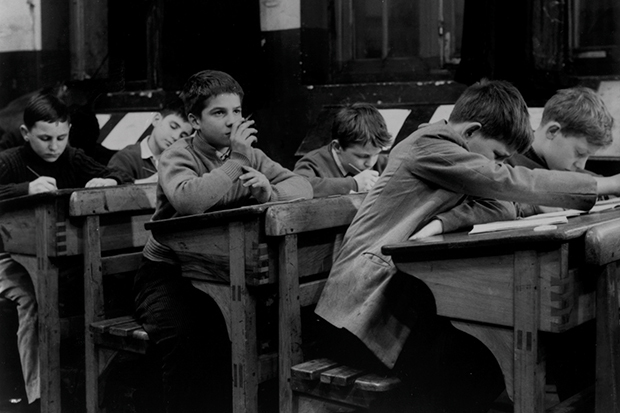 “Je n’ai jamais été si bouleversé au cinema,” Jean Cocteau said in 1959 about Les quatre cent coups—or The 400 Blows if you don’t read French. The film became the very symbol of French New Wave cinema and made the directorial name of one-time film critic François Truffaut and Jean-Pierre Léaud, the 13-year-old boy named who played Truffaut’s on-screen alter ego (pictured above). What Cocteau found so moving was that young first-time actor, playing a bored kid with distant parents and crappy teachers, bouncing through Paris seemingly headed for a life of petty crime. Now Honolulu has a chance to see this seminal film and performance on the big screen in Cinémathèque Française, our annual French-language film festival, which runs through April 18. 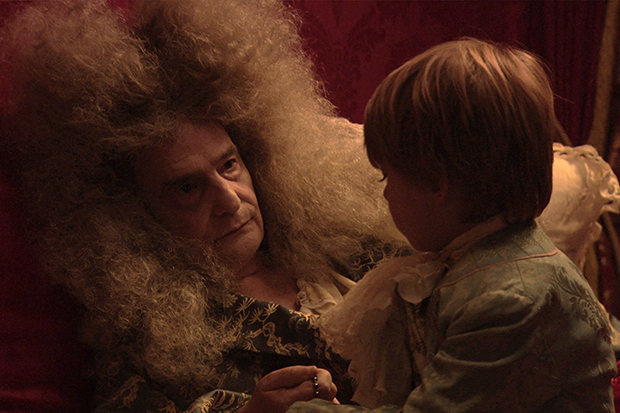 Jean-Pierre Léaud 57 years later in The Death of Louis XIV. But…wait for it—Léaud did not wind up a flash-in-the-pan youth actor. Fifty-seven years later he stars as France’s most famous monarch in the new film La mort de Louis XIV (The Death of Louis XIV)—which you can see right after The 400 Blows on April 13. It is a singular experience to see this person who has become a national treasure of France go from fresh-faced adolescent rascal to a 72-year-old Sun King rallying as he lies fading in bed. It is a highlight of this year’s festival. What happens to a home when love dies? Find out in the intimate Belgian drama After Love. If you’re into art, there are films on Claude Monet and Paul Cézanne. Love those Belgian dark explorations of domestic life? 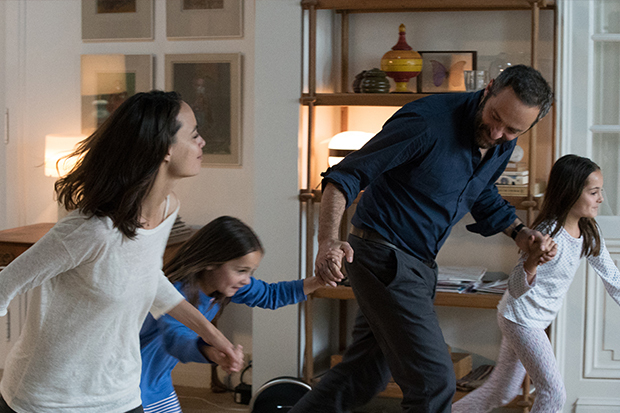 Joachim Lafosse’s After Love will have you gripping the arms of your seat. Were you tickled by the 2012 cross-cultural hit comedy Les Intouchables? Then don’t miss The African Doctor and He Even Has Your Eyes. Can’t get enough of the winner of this year’s Best Actress Golden Globe winner? Isabelle Huppert already has a new post-Elle film out—Things to Come screens April 10 and 11. And if you missed the biggies Frantz and Elle at Kahala theaters, the festival includes encore screenings of those too. Valeria Bruni Tedeschi and Micaela Ramazzotti hit the road in Like Crazy—Thelma and Louise Italian style. The museum rounds out April with films from across Europe—from the Italian road-to-Crazytown buddy film Like Crazy (my friend Marco from Milano says I absolutely must see it) to the 1988 Polish milestone 10-episode TV series Dekalog (an all-day binge on the big screen! ), as well as a three-film tribute to the late, great Andrej Wajda. And art hounds won’t want to miss the documentary Maurizio Cattelan: I’ll Be Right Back, about the Italian provocateur.